Tribulus terrestris extract in capsules, food supplement. Recommended use: Take 1-2 capsules a day, best taken on empty stomach or otherwise after consultation with your dietician or doctor. The product is recommended to adults as a food supplement. Keep out of reach of children. Do not exceed the recommended daily dose. Food supplements should not be used as a substitute for a varied and balanced diet. A varied and balanced diet and a healthy lifestyle are recommended. 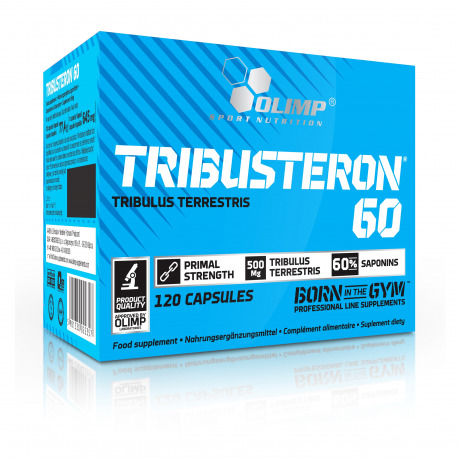 Ingredients: 80,6% Tribulus terrestris extract, bulking agent - microcrystalline cellulose; anti-caking agent - magnesium salts of fatty acids; capsule (gelatin, colour: E 171).